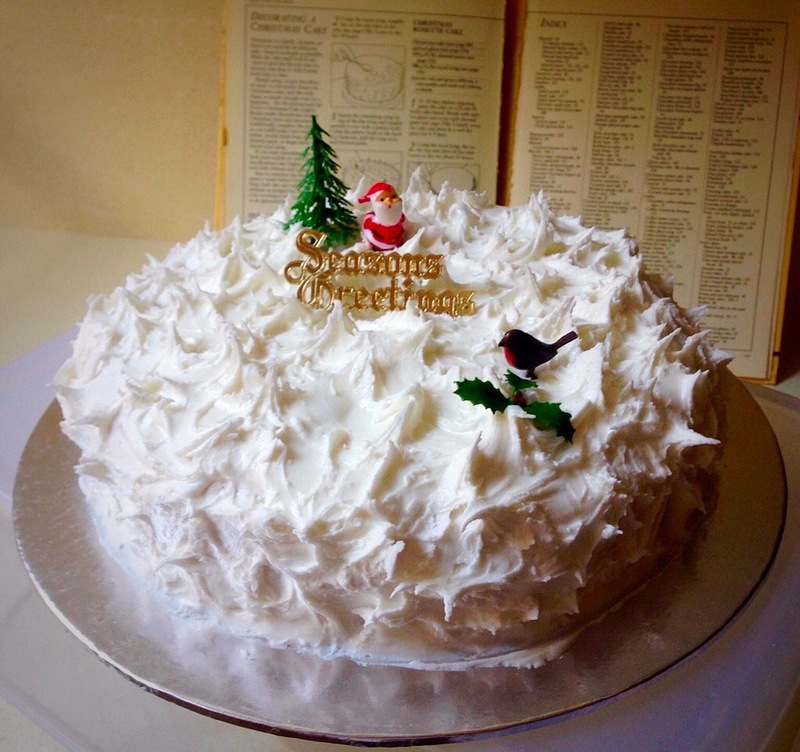 While growing up in the UK I would make multiple Christmas cakes, puddings and chocolate logs for friends and family. Since living in Australia, whenever moving house we have tried to reduce the volume of chattels. The various sized round and square cake tins went to the charity shop some time ago. To celebrate the visit of our niece from England for New Year, I have come out of retirement, so to speak. The above is the result of a trusted Harrods Cookery Book recipe after I burnt Delia’s; it wasn’t her fault, I had the oven too hot. Most of my cookery books predate modern fan forced ovens. I was amazed to find the decorations in the biscuit tin where we keep birthday cake candles, piping nozzles and cutters. As I enjoy a second mince pie for breakfast this morning, the pudding and cake are silently calling “eat me, eat me”. That looks wonderful yes, but audible cakes should not be eaten. rather take some thorazine. unless of course they are chocolate spice cakes. I haven’t heard of those, are they a US invention? I agree Raewyn. Yesterday afternoon we enjoyed a cup of French Earl Grey and two slices of cake. At the time I thought to myself that manufactured cake doesn’t stand up to home made.